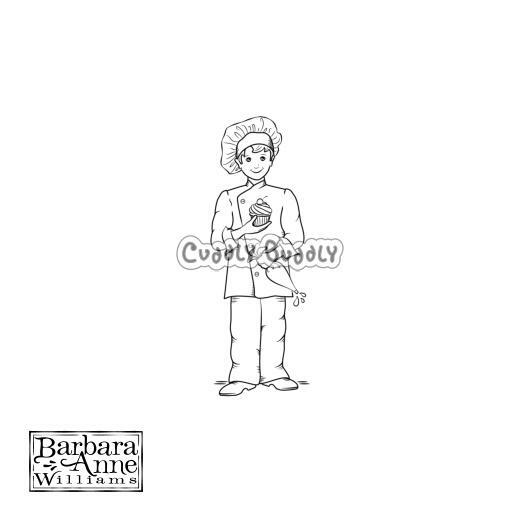 Alonzo's Kitchen - Frosting A Cupcake Digi Stamp. 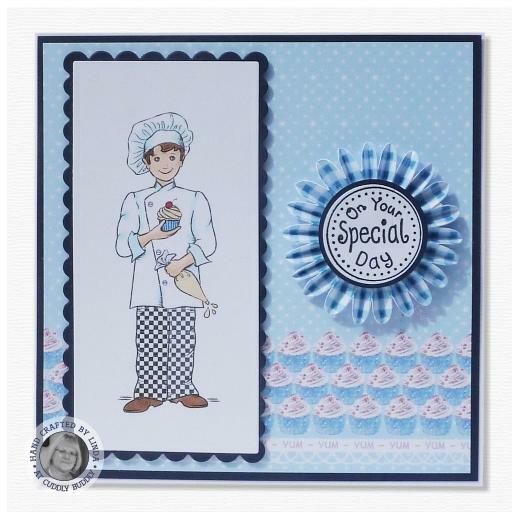 This cute digi stamp features Chef Alonzo frosting a lovely cupcake with a cherry on top. Just size it to suit your project needs, then print and colour with your choice of inks, pens, paints or crayons.